Äåëåãàöèÿ Íàöèîíàëüíîãî ñîþçà îâöåâîäîâ â ñîñòàâå ãåíåðàëüíîãî äèðåêòîðà Åãîðîâà Ì.Â. , ðóêîâîäèòåëåé ÑÏÊ «Ïëåìçàâîä Âòîðàÿ Ïÿòèëåòêà» Ñòàâðîïîëüñêîãî êðàÿ Ñåðäþêîâà È.Ã. è ÎÀÎ «Ñàðïà» Ðåñïóáëèêè Êàëìûêèÿ Ìóòóëîâà Ì.Í. 22 ôåâðàëÿ 2017 ãîäà ïðèíÿëà ó÷àñòèå â ðàáîòå êðóãëîãî ñòîëà, îðãàíèçîâàííîãî Ñîþçëåãïðîìîì â ðàìêàõ Ðîññèéñêîé íåäåëè òåêñòèëüíîé è ëåãêîé ïðîìûøëåííîñòè â ÖÂÊ «Ýêñïîöåíòð» ã. Ìîñêâà. Ãåíåðàëüíûé äèðåêòîð Íàöèîíàëüíîãî ñîþçà îâöåâîäîâ Ì.Â. Åãîðîâ ïðîèíôîðìèðîâàë ó÷àñòíèêîâ êðóãëîãî ñòîëà î ïîëîæåíèè äåë â îâöåâîäñòâå ñòðàíû, ïðîáëåìàõ, ñ êîòîðûìè ñòàëêèâàþòñÿ ñåëüõîçòîâàðîïðîèçâîäèòåëè ïðè ïðîèçâîäñòâå è ðåàëèçàöèè øåðñòè âñåõ âèäîâ, è îñîáåííî òîíêîé è ïîëóòîíêîé. Îí îçíàêîìèë ñîáðàâøèõñÿ ñ ïîñòàíîâëåíèåì Ïðàâèòåëüñòâà ÐÔ ¹1556 îò 30 äåêàáðÿ 2016 ãîäà è ïðåäëîæèë ïðåäïðèÿòèÿì ïåðåðàáàòûâàþùåé ïðîìûøëåííîñòè, ïåðåðàáàòûâàþùèì øåðñòÿíîå ñûðüå, ñîâìåñòíî ðàáîòàòü íàä åãî ðåàëèçàöèåé. Ïðåäïðèÿòèÿ ëåãêîé è òåêñòèëüíîé ïðîìûøëåííîñòè ïðèãëàøåíû äëÿ ó÷àñòèÿ â Ðîññèéñêîé âûñòàâêå ïëåìåííûõ îâåö, êîòîðàÿ ñîñòîèòñÿ â Àñòðàõàíè â ìàå 2017 ãîäà. Â ðàáîòå êðóãëîãî ñòîëà ïðèíÿëè àêòèâíîå ó÷àñòèå ðóêîâîäèòåëè ñåëüõîçïðåäïðèÿòèé È.Ã. Ñåðäþêîâ, Ì.Í. Ìóòóëîâ, äèðåêòîð òåêñòèëüíîãî èíñòèòóòà ÐÃÓ èì. Êîñûãèíà Ê.Ý. Ðàçóìååâ, ðóêîâîäèòåëè ïðåäïðèÿòèé ëåãêîé è òåêñòèëüíîé ïðîìûøëåííîñòè: ÎÀÎ «Êâåñò-À» Ì.Í. Õàëêå÷åâ, Ñâåðäëîâñêîãî ÊÊ Å.Â. Äàðèíöåâà, ÎÎÎ «Ëàêèñ «Íàøà ôîðìà» Å.Ê. Ñíûòíèêîâà è äðóãèå. Âñå âûñòóïàþùèå íàñòðîåíû íà ñîâåðøåíñòâîâàíèå è óêðåïëåíèå ïðîèçâîäñòâåííûõ ñâÿçåé ìåæäó ïåðåðàáàòûâàþùèìè ïðåäïðèÿòèÿìè è ïðîèçâîäèòåëÿìè øåðñòÿíîãî ñûðüÿ. 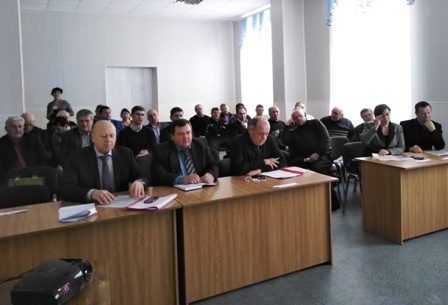 On February, 16 National Association of sheep breeders and the Ministry of Agriculture and Food of Rostov Region held a meeting on "State and prospects of development of sheep breeding in Rostov Region". The event was held in Remontnenskiy district which currently has 320,000 sheep and 4 stud farms. Participants of the meeting were: Mikhail Egorov, Director General of National Association of sheep breeders, S. V. Polulyashnaya, Deputy Minister of Agriculture and Food of Rostov Region, Marina Selionova, Director of the Russian Research Institute of sheep and goat breeding, Doctor of Agricultural Sciences, Yu. 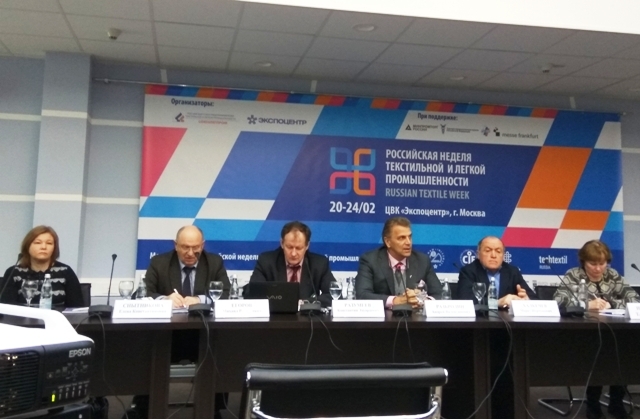 A. Kolosov, Professor of Don State Agrarian University, Marat Khalkechev, head of wool processing plant "Quest-A", A. P. Pustovetov, head of Remontnenskiy district as well as experts of NASB and the Ministry of Agriculture and Food of Rostov Region and heads of leading sheep breeding farms in the region. 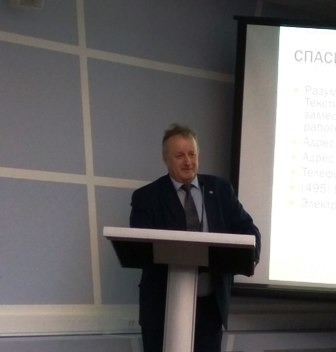 Mikhail Egorov presented a report on the situation in the sheep breeding industry at the beginning of this year. According to operational data, the number of livestock of sheep and goats in the Russian Federation was 24,796,900 heads which is 0.2% less than it was at the beginning of 2016. The Karachay-Cherkess Republic and Stavropol Krai are among the leaders in the industry. The North Caucasian Federal district has reduced the number of sheep and goats by 251.7 heads. At the same time, as noted by Mikhail Egorov, Rostov Region has increased the number of sheep by 2 times since 2000, making it 1,179,500 heads. According to NASB, the minimum price for fine wool produced and sold by agricultural producers in 2016 was 150 rubles per kilogram while the maximum price was 270 rubles. Rostov sheep breeders received 265 rubles per kg of wool along with subsidies for fine and semi-fine wool. This year the sheep breeders of the region will receive unprecedented government support. The region has allocated substantial funds for the support of livestock breeding, including sheep breeding. They’ll receive 1,700 rubles for a stud ewe, 190 rubles for a hog and 130 – 140 rubles for a kilo of fine and semi-fine wool. According Mr Egorov, this is a serious support and it should help to increase the livestock population and quality of fine wool. The head of the plant "Quest-A" Marat Khalkechev expressed his willingness for mutually beneficial cooperation with manufacturers of wool and offered several scenarios of this cooperation. Yu. 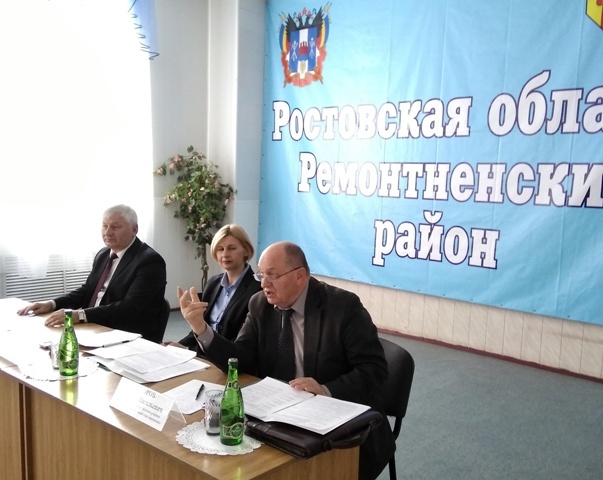 Kolosov, Professor of Don State Agrarian University, told the audience what science can offer to sheep breeding, and Marina Selionova told about her impressions from visiting Australia. After the plenary meeting, the participants got acquainted with the livestock of the stud farm "Mir" in Remontnenskiy district. 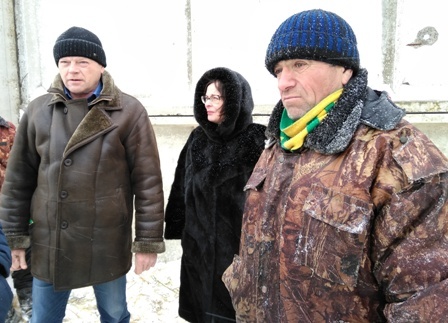 In addition, the delegation of National Association of sheep breeders visited a sheep farm of Magomed Abdulayev, the senior shepherd of the stud farm "Pervomayskiy", Remontnenskiy district. 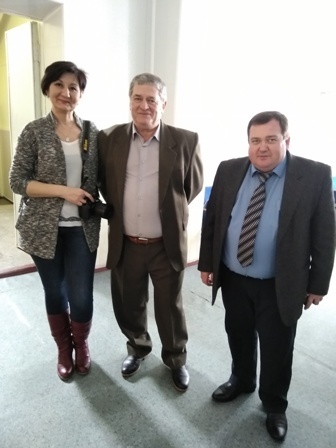 Together with the head of the enterprise S. I. Riabokon they viewed the animals, exchanged opinions and plans for further improvement of livestock. According to the Department of Agriculture of Kamyzyaksky district, a local farmer made a contract to supply alfalfa collected on an area of nine hundred hectares in the UAE in 2017. The total area of this crop in the district is more than two thousand hectares. The crop delivered to the UAE will be used for feeding cattle on local farms. According to the farmer, the contract for the supply of alfalfa was also signed by one of agricultural firms from neighboring Kazakhstan. Both manufacturers have already started the process of unification which will be completed in late February. "Livestock producers from the UAE have to buy the green mass in Australia. Because of the distance between the continents, the time of delivery of alfalfa is quite large. Delivery of this product from our region will take much less time, the quality of our product is no worse than the Australian. We intend to export alfalfa in containers by sea through Iran," said the farmer.